I’ve been both busy and ill this last week, which is never the best combo for this blog, but here we go now. It was the experience I felt I had to have. After almost three years without such an opportunity, last weekend I finally made it to a full-on K-Pop concert (That incredible late 2011 K-Pop extravaganza came a few months before I cared). Though my enthusiasm for the genre probably peaked last year, when I came pretty damn close to attending a similar event before it fell through, I am by no means done with appreciating K-Pop and even if I was, I have bought so many albums and written so many words about it already that to move on without having seen it live in its purest form would have been a real shame. 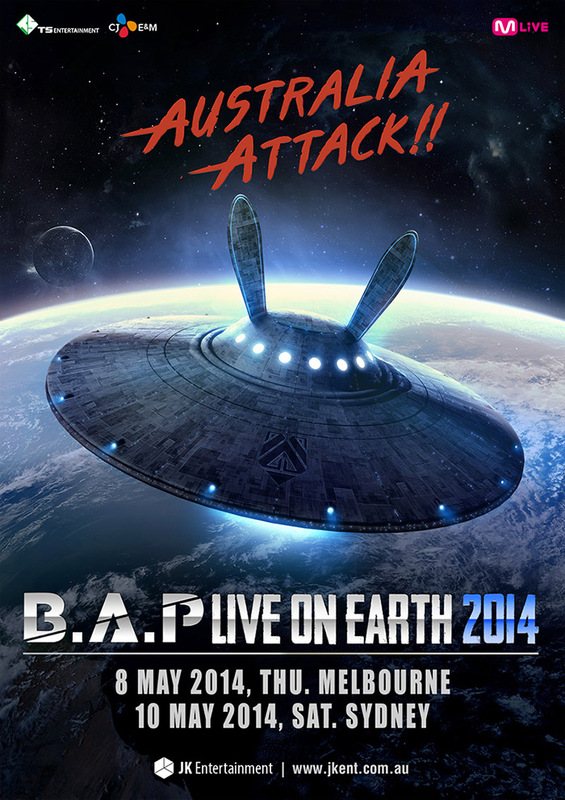 Enter TS Entertainment and their always busy headline act, six-member male group B.A.P. Sydney’s Big Top in Luna Park was packed for the May 10 performance event and there was a surprisingly decent contingent of older and male fans getting into the swing of things (I had expected an almost completely teenage fangirl demographic in the crowd and was happy to be proved wrong). As I mentioned in a K-Pop countdown two years ago, B.A.P’s musical output does tend to have a more universal appeal than most male K-Pop groups, so perhaps I shouldn’t have been so surprised.